First of all, you obviously need a pair of jeans or even leggings. But I prefer how the stripe looks on structured jeans which really elongate your legs. To add on that, it looks even better on high-waisted jeans. 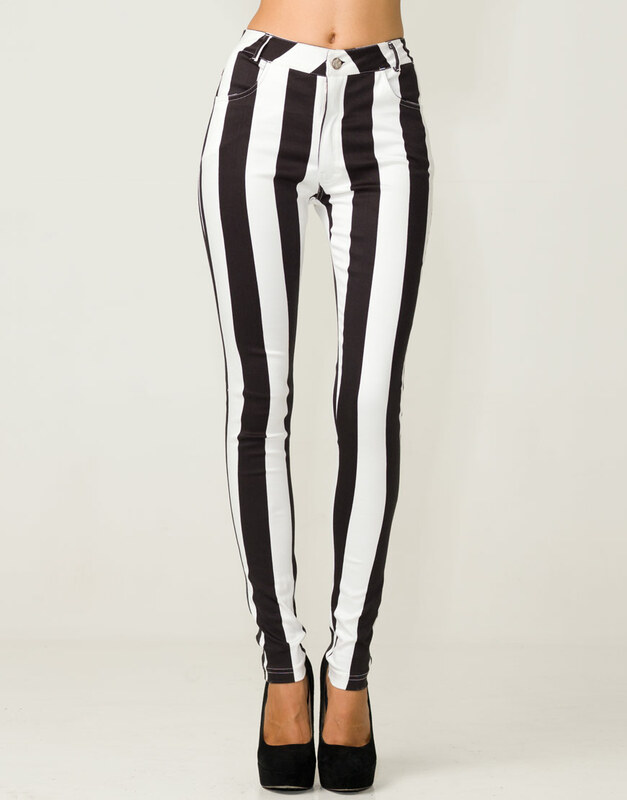 If you’ve seen the striped skinnies by Motel, I believe they’re really quite high-waisted. But of course, it all depends on your preferences. 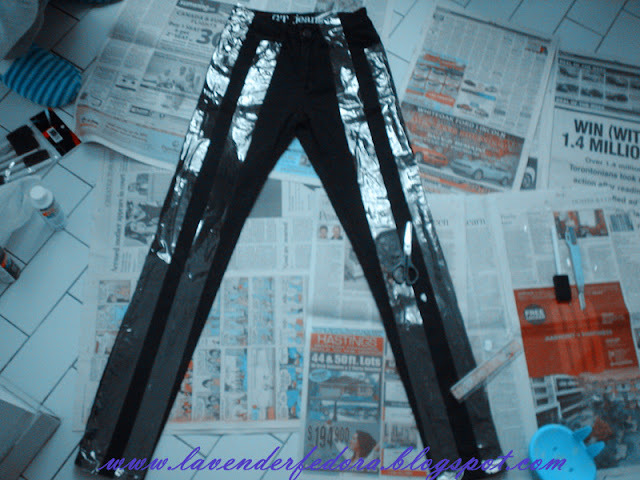 Then, you need some sort of white or black acrylic paint depending on the color of your jeans. 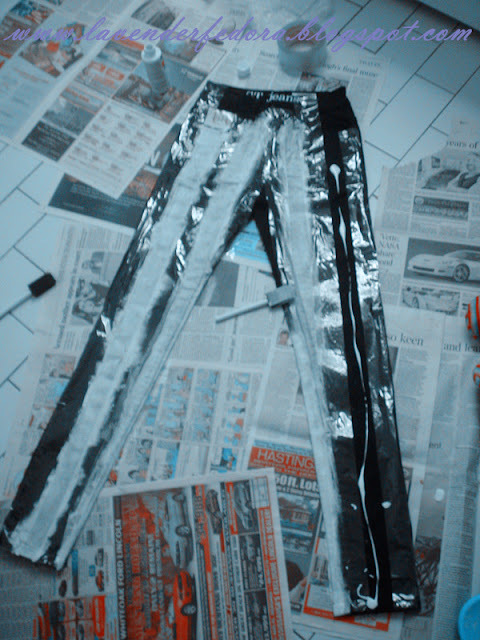 Since I already had a pair of black semi-highwaisted jeans on hand, I used white acrylic. Lastly, some brushes to paint on. Here I’m using some sponge brushes which you can get from practically anywhere. I got both my paint and brushes from the dollar store and they work perfectly fine. Nothing fancy! 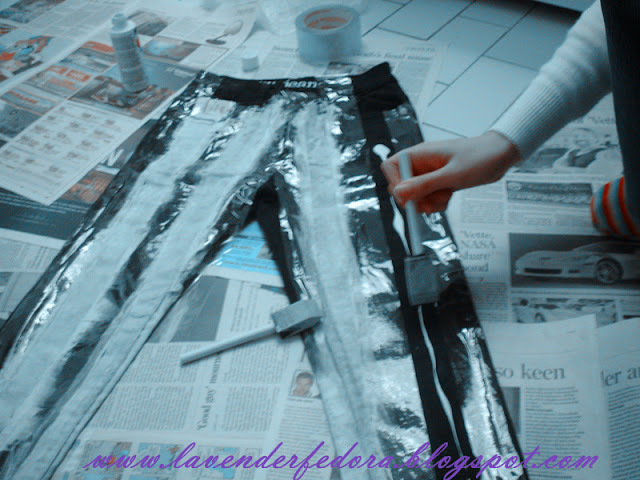 I laid some newspaper on the basement ground since I don’t wanna get into trouble with my parents from ruining their perfect wooden floor :P Also, in order to get my stripes perfectly straight, I used some thick tape to cover the part of jeans that I wanna keep it black. Then, the labour starts. It is quite straight-forward, just dip your brush into the paint and paint it on. But since I was using black jeans, and I wanted my white stripes to be completely opaque, it was a really long process. I used two coats of paint. 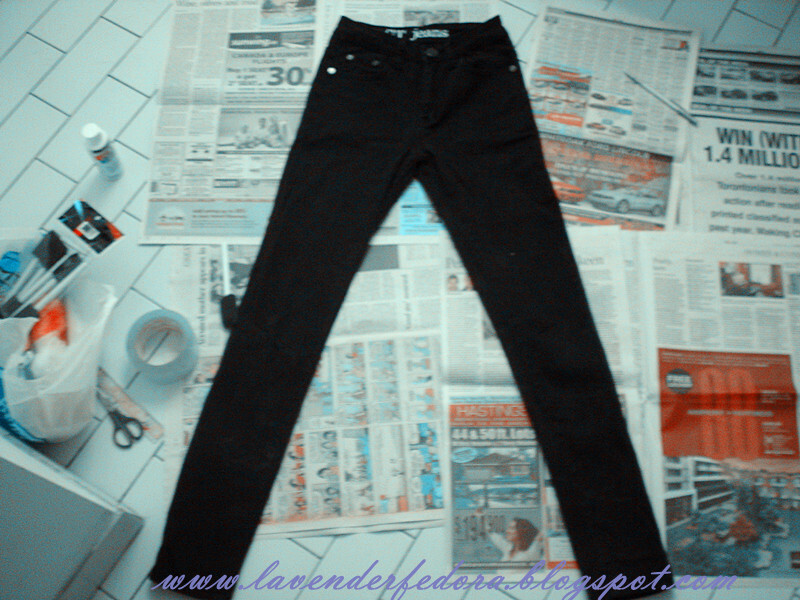 In the end, I decided to only paint one side of the jeans. To be honest, I quite like the result. A trick for you is to sponge it on. Press the brush into your jeans so the paint that’s already soaked by the sponge will transfer onto the jeans more easily. Really, that’s all you need to know. What do you think? Are you gonna try them out? This is amazing! I have to try this out. I was looking for affordable stripe jeans but this is a great idea. It looks really great! :) think I'm going to try this myself.